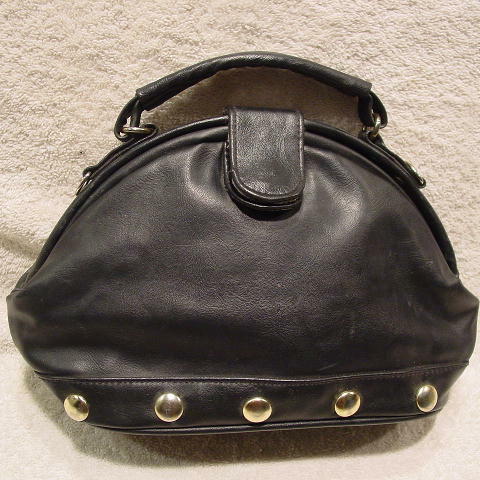 This vintage black faux leather purse has 5 somewhat tarnished gold-tone ornaments. It has a 6 1/2" long handle and a magnetic closure under the front tab. There is an interior black polyester lining and an interior zippered pocket.